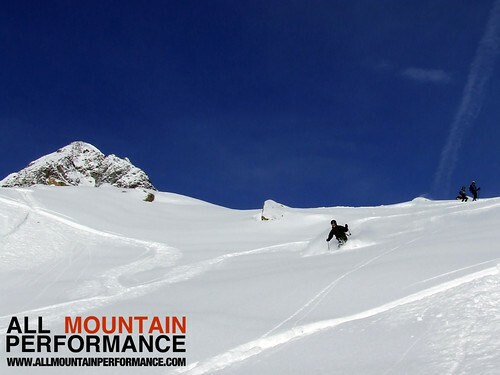 Off piste ski courses with All Mountain Performance – Chamonix’s off piste ski instruction specialists. 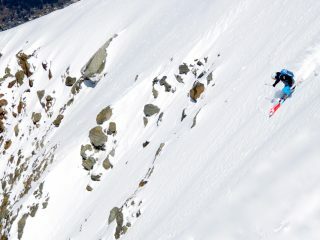 Our off piste ski courses have been running in Chamonix, France since 2004. Chamonix is home to western Europe’s highest mountains. The lift system provides access to some of the world’s best off piste and backcountry skiing. With slopes of all gradients, there is plenty of scope for all levels, whether it’s your first time skiing off-piste or already an expert in the powder. Specialising in off piste ski courses with instruction, Mark Gear founded All Mountain Performance in 2004. Today, with over 20 off piste courses on the programme each season, we are Chamonix’s leading provider of instructional, off piste ski courses. All off piste courses are run by top international ski instructor Mark Gear. Ski with one of the UK’s most elite level ski instructors. Mark holds the highest level BASI 4, (British Association of Snowsports Instructors) qualification, has passed the European speed test, and has full French equivalence (1er Degree Ski Alpin). Mark has years of experience teaching skiing in Chamonix and accross Europe with a renound reputation in off piste ski coaching. A personalised ski teaching approach and Mark’s wealth of backcountry ski terrain knowledge combine to provide an excellent off piste course for skiers wanting to improve whilst having fun exploring some of Chamonix’s exciting and varied off piste skiing. In resort minibus transport helps us access the best conditions around the whole Chamonix Mt Blanc region. Off piste ski courses run all season for 3 different skier levels. Intermediate off-piste ski courses, advanced off piste ski courses and expert off piste ski courses are available. Our off piste ski courses run in Chamonix from early December until late in April. All ski course levels are designed to help develop & improve your off piste skiing. Whether wishing to learn off piste skiing for the first time, or already a skillful all-terrain skier, we have plenty of course dates available. Join us for a 5 day course or a shorter weekend course. 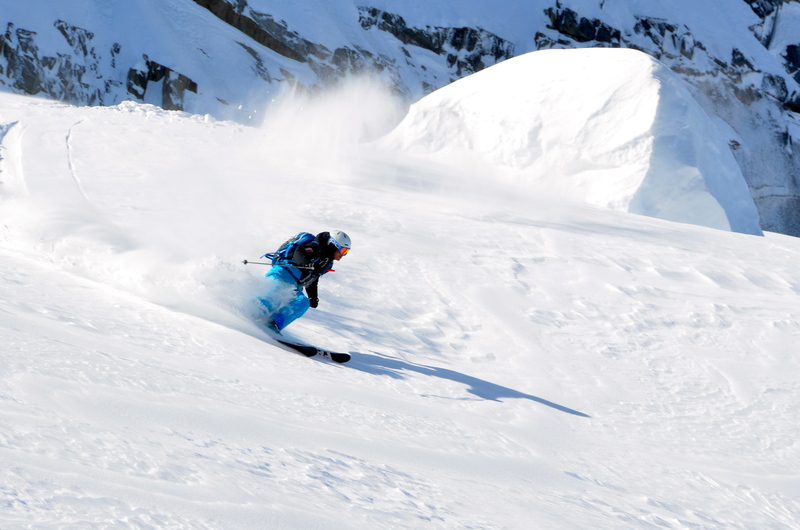 EXPERT SKI COURSES FOR OFF PISTE AND FREERIDE SKIING. 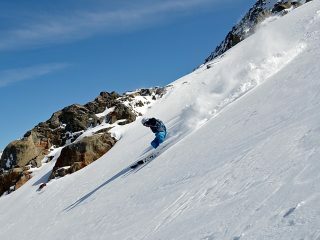 Off piste ski courses for expert skiers run in Chamonix, France. More about our off piste ski courses. All off piste ski courses have a maximum of 6 skiers per course to provide a fun and dynamic learning enviroment and a ski coaching approach that focuses on the individual needs of each person. 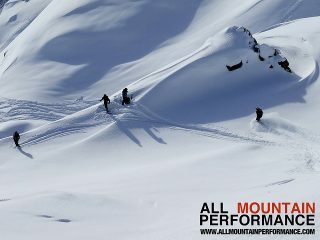 Your skiing will be developed in a variety of conditions and terrain maximizing your ability to ski the whole mountain. Master off piste skiing, learn to feel ultimate control in deep powder snow, steeper slopes, couloirs, tree skiing and more. Benefit from world-class, off piste ski instruction with daily video feedback. Read client reviews for off piste ski courses.